Ambient Sounds is the best modification if you like to listen to the sounds of nature! This indescribable beauty, which you only need to listen and enjoy. As you know, any Minecraft PE world consists of many biomes that differ in climate and landscape, but you will not hear unique sounds there. This mod adds the sound pack suitable for each biome. For example, you will hear the singing of seagulls and the sound of waves standing on the beach, while in the forest you will hear croaking frogs and leaves rustling. Just imagine how you wake up in the morning, go out the door and hear the beautiful nature. Added new sounds for the Nether world and also for the taiga. Fixed problems with the sounds of the desert biome. 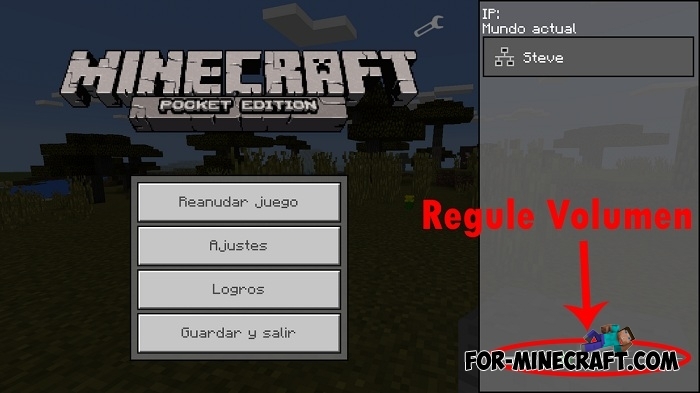 Support for Minecraft PE 1.2 (iOS owners must wait for release). You can adjust the volume of sounds at any time if you pause. The regulator allows you to completely disable the mod. By right, the Ambient Sounds mod is an ideal modification, not annoying and soothing your nerves. Watch the video below to reveal all the features. How to install the Ambient Sounds mod?